This morning Soph pointed out that the rhubarb needed harvesting again, and threatened to give it away if I didn’t do something with it. OK maybe I wasn’t listening fully, maybe there was something in there about it being nice to let her sister have some of it, but I’m having none of that nonsense until we’ve had a lot more of our first year’s rhubarb harvest for ourselves! A quick trip around my usual websites found a Rhubarb & Custard Pie from Cook’s Country, and a Rhubarb Streusel Pie from BBC Good Food. 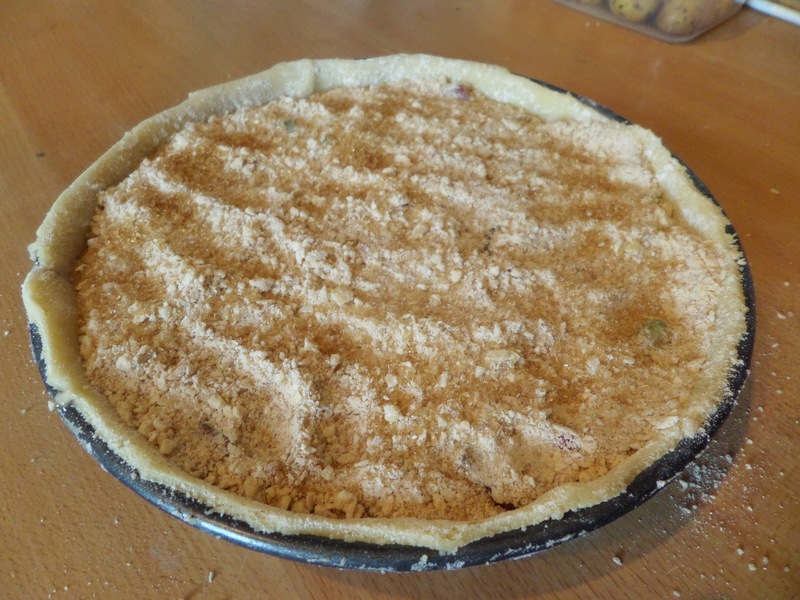 Unable to decide between them I’ve decided to combine them into this Rhubarb & Custard Streusel Pie. It’s all pretty simple really. 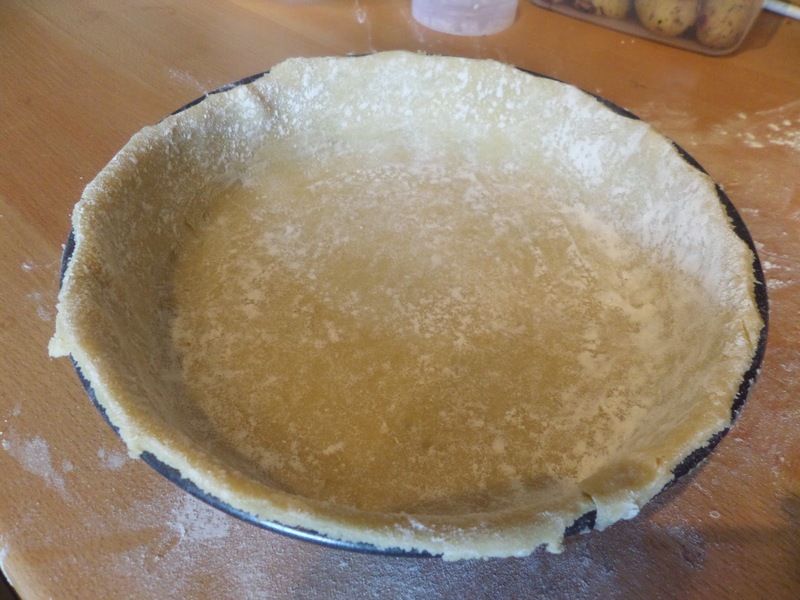 Make pastry, roll out, into pie dish. 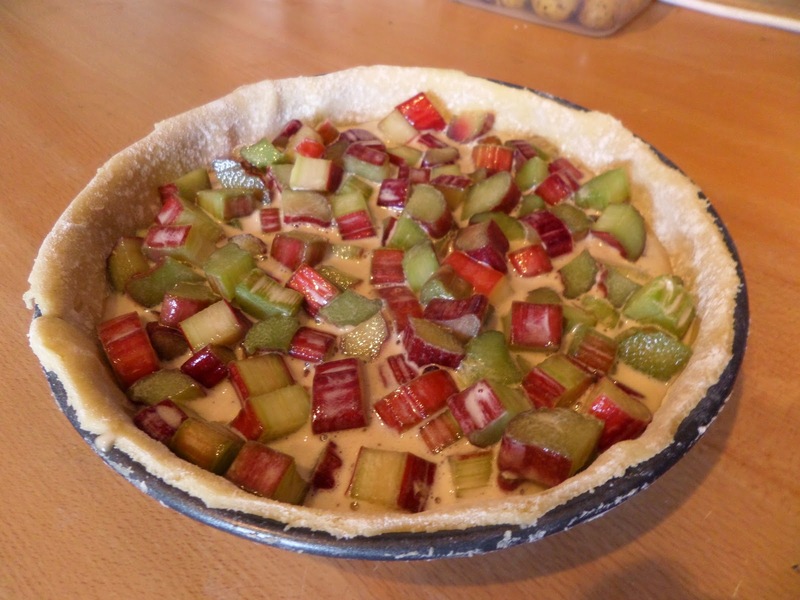 Mix custard ingredients, mix in rhubarb bits, add to pie. 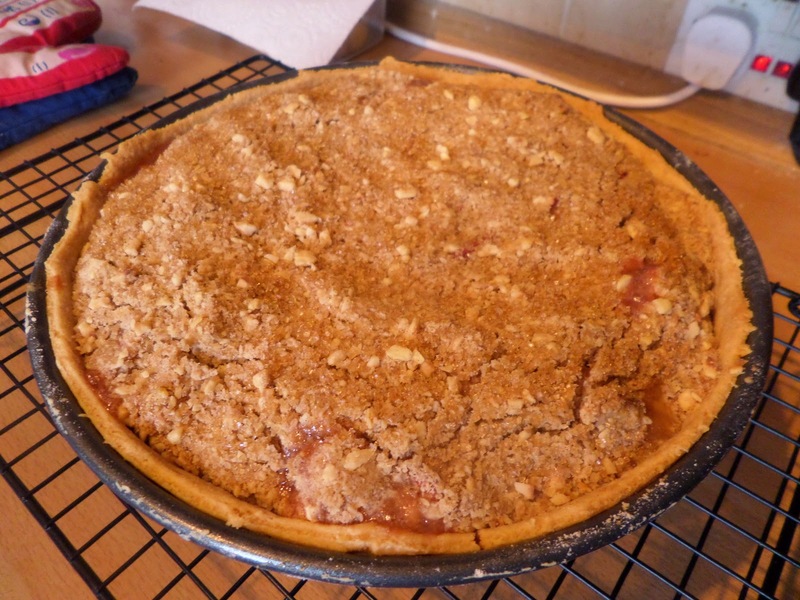 Make streusel in food processor, top the pie. Bake at 170C fan for 45 minutes before checking if the top has crisped up. Serve with cream, and eat before remembering to take a picture!